Andorra is a small country and located between France and Spain and doesn’t require a visa for any nationality. Andorra is not part of the Schengen area and all nationality can enter the Andorra. If you have multiple Schengen visa, you can go there and come back to other Schengen countries. For further information please contact us. If you would like to work in Andorra, you need to get a working visa through embassy with necessary documents. For working visa, you should hired by any company or organization in Andorra or establish your business there. For further information please contact us. If you would like to study in Andorra, you can ask France or Spain embassy in your country about visa regulation. Access to the Andorra is possible through France or Spain. For further information please contact us. Andorra is located in the eastern Pyrenees Mountains and bordered by Spain and France. Andorra is famous with a tax haven because no personal taxation, no wealth, income, capital gains, dividend taxes or estate duty and also with area 468 sq and six smallest nation in Europe with population around 85000 in 2012. The 4th highest human life expectancy in the world is Andorra with 82 years at birth. 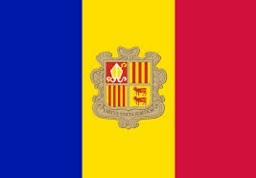 Andorra is a small independent principality, located between France and Spain in the Pyrenees. It is known for its ski resorts and the tax status of a refuge, which is encouraged by Tax Free Shopping. The capital of Andorra la Vella has boutiques and jewelry stores in Meritsells Avenue and several shopping centers. The old town, Barri Antic, is the Romanesque church of Santa Coloma, with a round bell tower.